This private retreat offers great location in the vibrant, picturesque village of Burnham Market, with the accommodation encased in a traditional period building. Just a short walk from the boutiques, cafes and village green you're sure to embrace this welcoming first floor home from home. Set in the picturesque village of Burnham Market you will discover number 1 Pattern Makers Close, nestled into the new vibrant Foundry Fields hamlet. This stylish modern home from home offers a well thought out living space reflected perfectly by the two stunning bedrooms on the first floor. This property is not suitable for children of 12 years of age or less. Moodie Cottage is a well-appointed retreat nestled in the picturesque and popular village of Burnham Market. It has been recently modernised sympathetically to encompass modern living with a traditional feel. 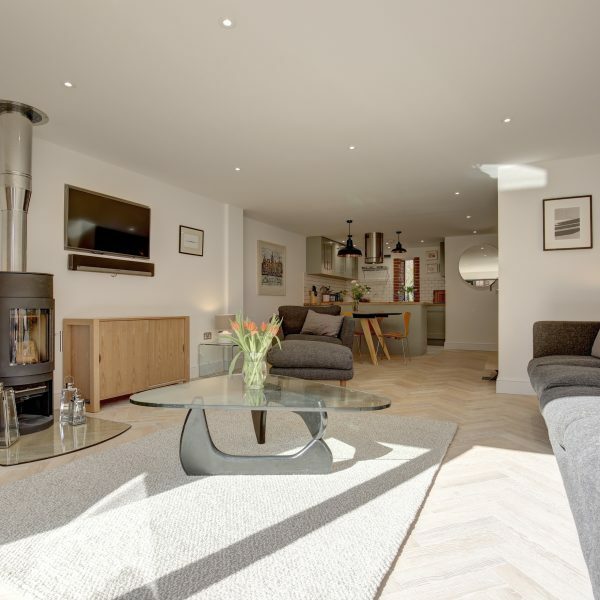 With stunning design features and stylish furnishings throughout and just a short walk into the heart of the village, Moodie Cottage really offers the best of both worlds. 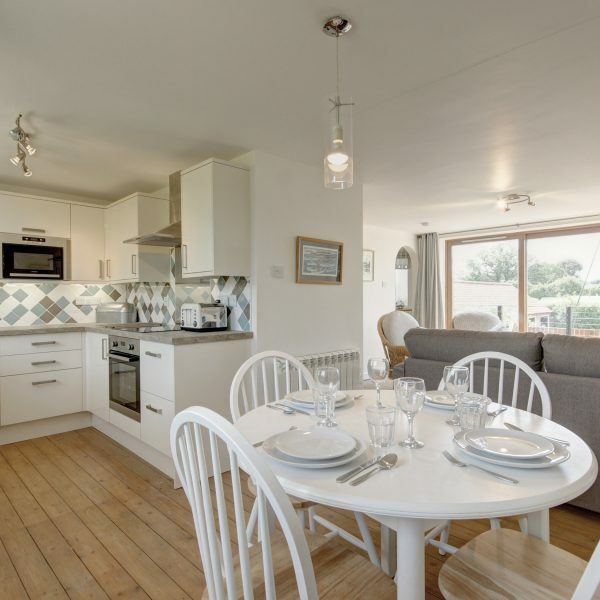 Uber modern with plenty of comfort, 10 Sandells Walk is the perfect Norfolk hideaway that showcases the surrounding area while giving its guests a peaceful retreat to relax within. Only a very short walk from the shops and the village green, while the edge of the village location is a constant reminder of the wider Norfolk that begs for further exploration. 11 Sandells Walk also features in the Barefoot portfolio, by booking the two together parties of 8 can be accommodated. 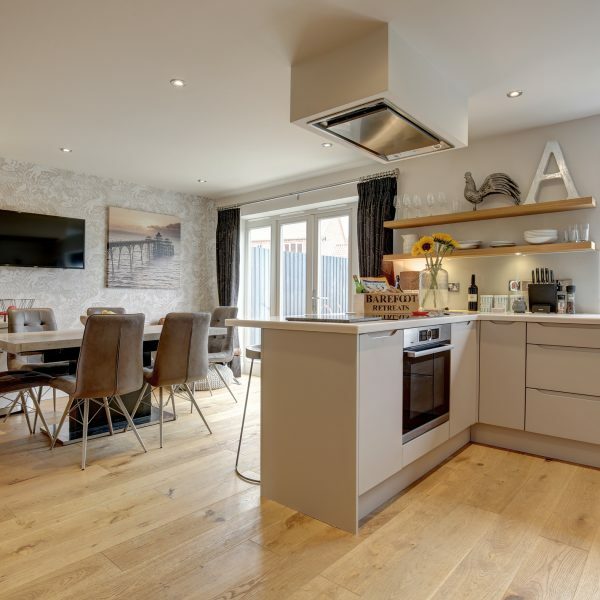 Stylish, comfortable and extremely convenient, 11 Sandells Walk is a fantastic new holiday retreat situated in Burnham Market, less than a five minute walk from the green at the centre of the village. The perfect spot to enjoy countryside rambles while still being able to enjoy the boutique shopping area for which the village is renowned. 10 Sandells Walk also features in the Barefoot portfolio, by booking the two together parties of 8 can be accommodated. Alice House is a striking award winning Grade ll Listed Georgian luxury self-catering cottage in Burnham Market, just moments from the heart of the village's vibrant green, boutiques, galleries and restaurants and just a short drive from the coast. 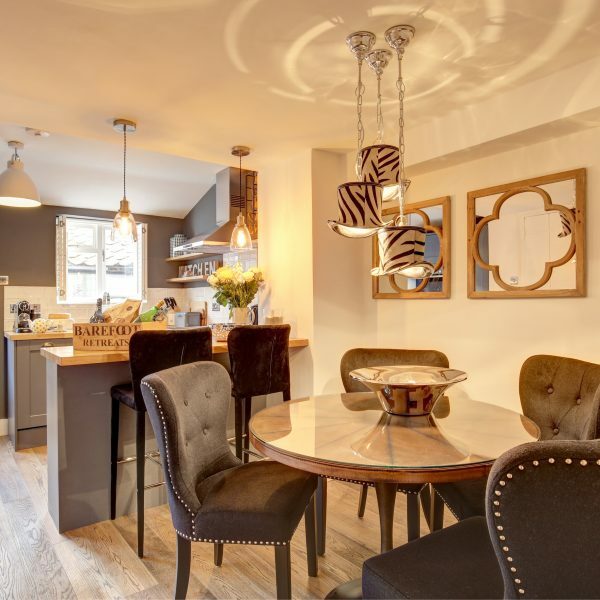 Arranged over three floors, this charming property boasts stylish furnishings and contemporary decorative touches. A bespoke blend of old meets new, this unique village property is straight from the pages of a glossy magazine. Nestled on the outskirts of Burnham Market, this stunning property provides a great base for all the family at any time of the year. Whether you enjoy basking in the sunshine in the Orangery or snuggling in front of the roaring wood burner, this one's for you! There are four fabulous bedrooms spread across the two floors accommodating all ages and abilities within the family, and the spacious, well-equipped kitchen is a great space for entertaining. Blending the natural character of the cottage with the owners unique design touches, Burr Cottage blends the two worlds to create a special bijou bolthole in popular Burnham Market. Fantastic for couples and small families, the cottage has been thoughtfully prepared and even offers a 'Zen Den' to relax in that is adjacent to the rear enclosed garden. 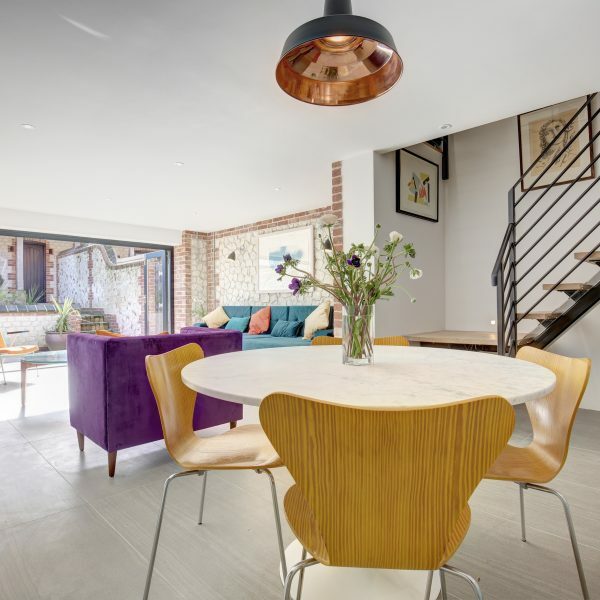 Cobbles is a superb new addition to Barefoot Retreats, created to offer a calm and tastefully decorated house that couples and groups of family or friends will all equally feel at home in. Being only a two minute walk from the popular green, with its unique shops and many restaurants, this an ultra-convenient location from which to explore the village and the surrounding countryside. The beautiful beaches of Brancaster and Burnham Overy Staithe are also only a short drive away. Commanding wonderful views directly across Burnham Markets' vibrant village green, Craig House is an outstanding Georgian property, full of character but with a contemporary twist. 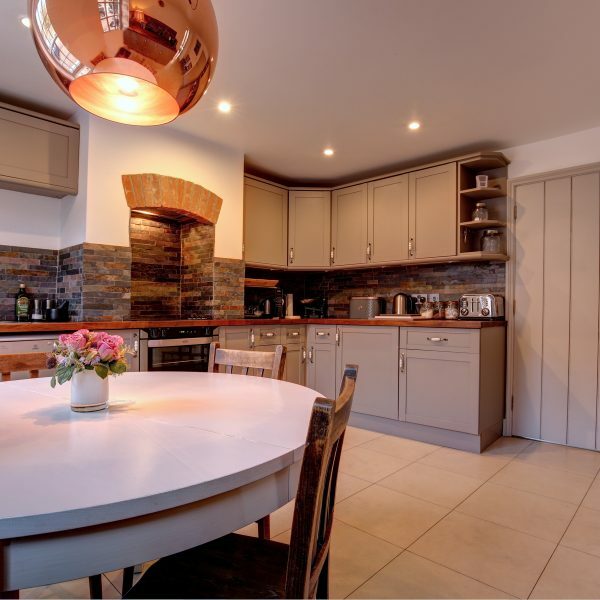 With accommodation arranged over three floors, this attractive five-bedroom property boasts a large entrance hall, cloakroom, kitchen/dining room with welcoming Aga and conventional oven. With a south-facing sitting room on the ground floor opening up into a quiet, enclosed and sunny garden, this property is in a super location. Upstairs there are three bedrooms; one with an en-suite shower room and one family bathroom. 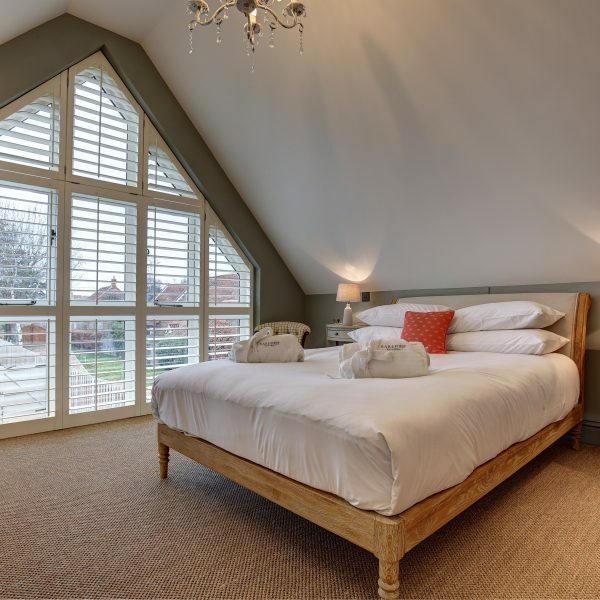 Two further attic rooms can be found on the second floor, each with en-suite shower rooms. Enjoy catching some rays on the secluded terrace, before heading to one of the many sandy beaches only a few minutes' drive away. With Burnham Market's fabulous shops, restaurants and pubs literally on your door step, you couldn't find a better location to enjoy a wonderful family holiday or special time away with friends! Commanding wonderful views directly across Burnham Markets' vibrant village green, Craig House is an outstanding Georgian property, full of character but with a contemporary twist. With accommodation arranged over three floors, this attractive three-bedroom property boasts a large entrance hall, cloakroom, kitchen/dining room with welcoming Aga and conventional oven. With a south-facing sitting room on the ground floor opening up into a quiet, enclosed and sunny garden, this property is in a super location. Upstairs there are three bedrooms; one with an en-suite shower room and one family bathroom. Enjoy catching some rays on the secluded terrace, before heading to one of the many sandy beaches only a few minutes' drive away. With Burnham Market's fabulous shops, restaurants and pubs literally on your door step, you couldn't find a better location to enjoy a wonderful family holiday or special time away with friends! 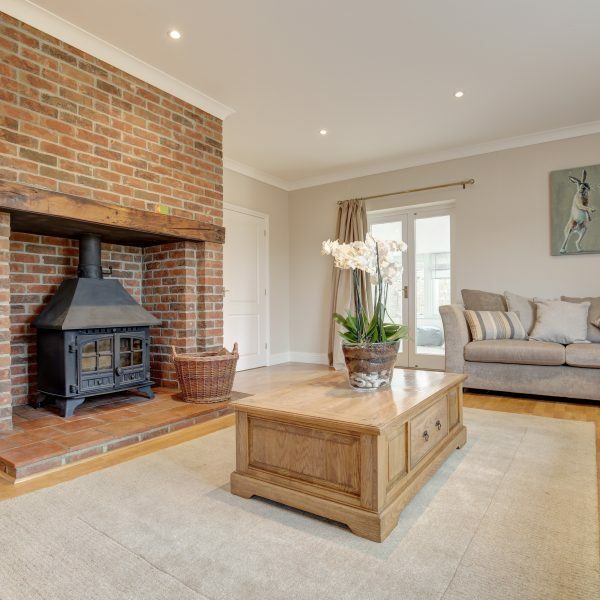 Take a look at Creake Cottage in Burnham Market in its central village location, with a fabulous open plan layout of the ground floor living space with modern kitchen, spacious dining area and wonderfully relaxing sitting room with open fire. It has three bedrooms on the first floor offering a range of bed sizes and family four piece bathroom. Outside there is a patio area to relax and unwind and a BBQ to cook up some fabulous food, not to mention the lawned garden to sit in and enjoy the summer sun. This property is in a wonderful location with all amenities, pubs and restaurants just a short stroll away. The call of the sea is just four miles drive away. 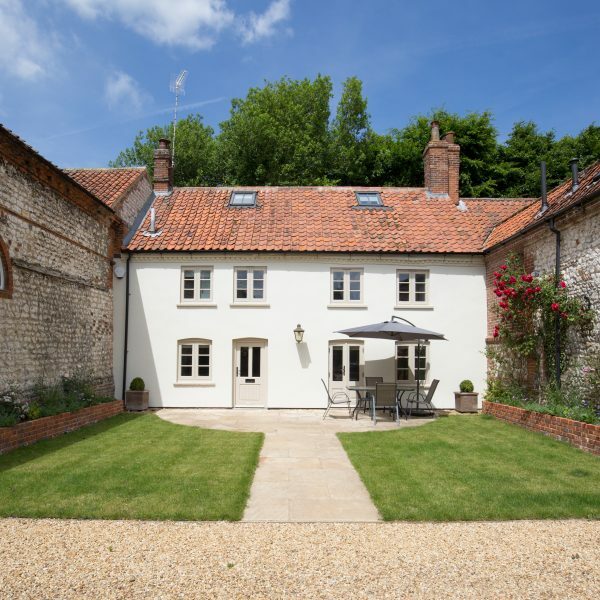 Field Piece Cottage is a lovely luxury self-catering holiday home set in the beautiful village of Burnham Market situated a stones' throw from the stunning North Norfolk coast with its wide skies, beaches and open spaces and probably some of the best coastal walks you could find. 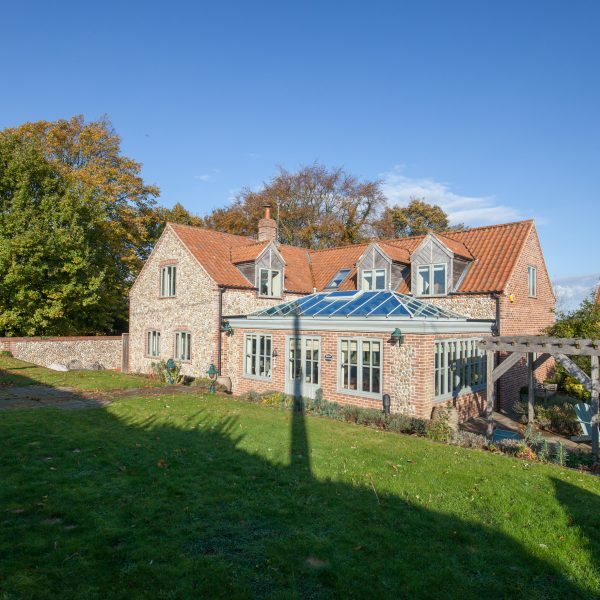 Sleeping 10 in five bedrooms, this is a spacious property to relax in and enjoy the best of Norfolk in while you enjoy some well-deserved down time! Can also be booked as a sleeps 6 in three bedrooms. 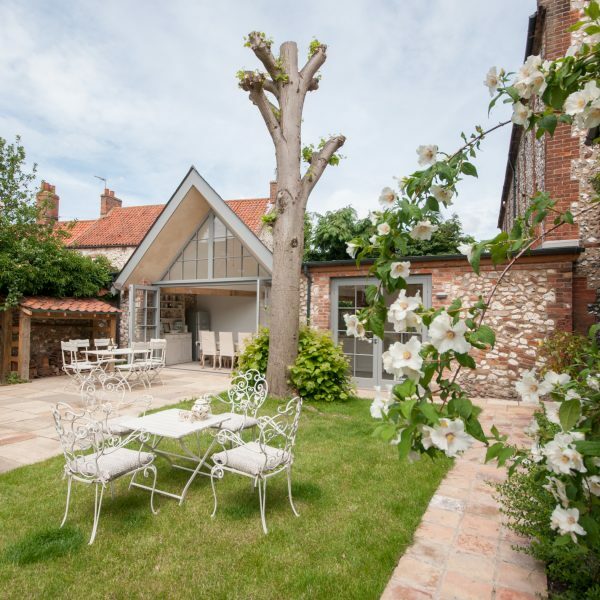 Field Piece Cottage is a lovely luxury self-catering holiday home set in the beautiful village of Burnham Market situated a stones' throw from the stunning North Norfolk coast with its wide skies, beaches and open spaces and probably some of the best coastal walks you could find. Sleeping six in three bedrooms, this is a spacious property to relax in and enjoy the best of Norfolk in while you enjoy some well-deserved down time! 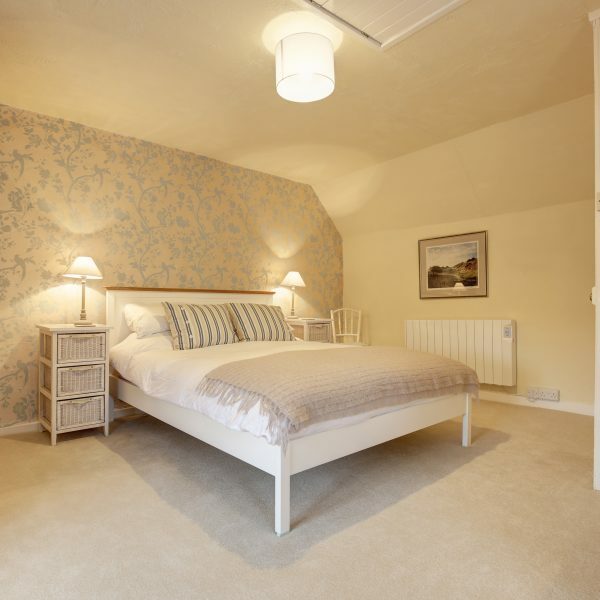 Can also be booked as a sleeps 10 in five bedrooms. 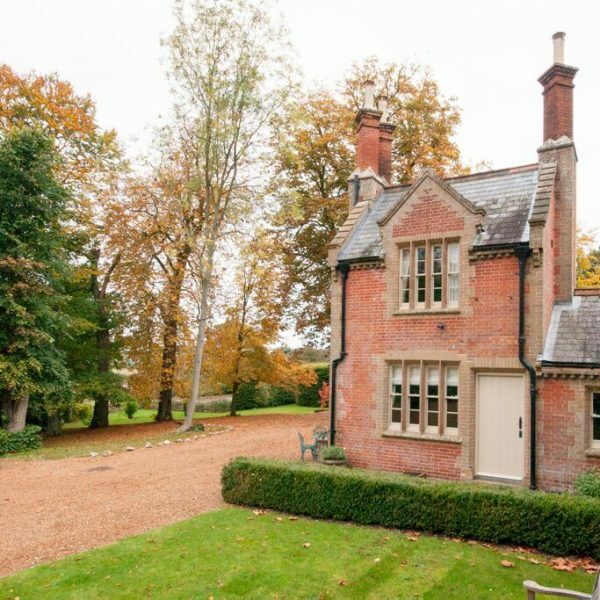 Goosebec is a beautiful Grade II listed property overlooking the green in chic Burnham Market. Once a saddlery and later a post office, this house is full of character and charm. With parking for two cars at the rear and a pretty courtyard garden, this self-catering holiday home is located in a prime location in the centre of Norfolk's loveliest village and only a five minute drive to the coast and less than 100 yards from the renowned Hoste Arms and Burnham Market's fabulous shops. Sleeps five in three bedrooms. Grayling is a striking holiday let in Burnham Market, placed within sight of the village green and the unique shops Burnham is famed for. 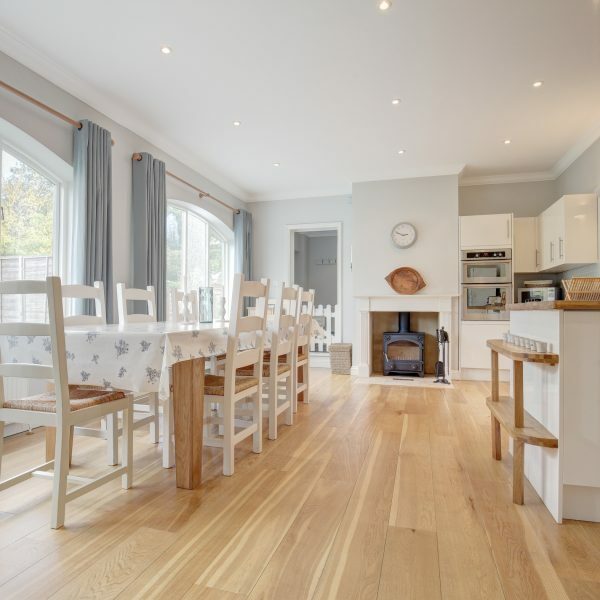 The house has a wonderful feel, being spacious, light, airy, luxuriously equipped and thoughtfully presented. The open plan nature of the living areas is perfect for groups, while the snug provides a breakaway space for the children (or the adults!) Four quiet bedrooms await, two of which are en suite, with the others being serviced by a family bathroom, complete with a large bath. This pretty two bedroom apartment set over two floors features an attractive south-facing balcony to the rear. This coastal bolthole is perfect for a small family or friends wishing to enjoy a relaxing holiday close to the pretty harbour, beach and sailing facilities at Burnham Overy Staithe, just a few minutes' walk away. Children will also love crabbing from the harbour pontoon, a traditional Norfolk past time! With a modern kitchen, stripped pine floorboards, one double bedroom and one twin, plus family shower room, this is a great property for exploring the beautiful North Norfolk coast! Hornbeam is a spacious property located in a quiet spot in popular Burnham Market. Offering 5 large en-suite bedrooms, 2 lounges, games room, enclosed garden and off-road parking, Hornbeam is just perfect for larger groups of families and friends. Being only a 5 minute walk from the village green allows you to explore on foot and the popular coastal locations of Holkham and Brancaster are just 5 minutes away in the car. This luxury bolthole sits at the top of a quiet lane and affords stunning views over open countryside towards Tower Windmill and out to sea. Wonderfully located and close to Brancaster and Wells-next-the-Sea, this brand new one bedroom luxury retreat boasts a fabulous open plan ground floor with countryside views and plenty of off-street parking. 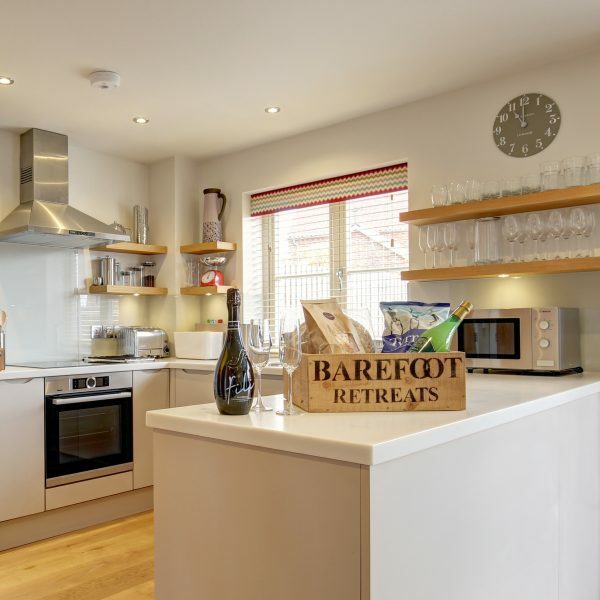 With the pretty harbour, small beach and local pub/restaurant just a short walk down the road, and just a 1.5 mile walk into Burnham Market along a little track, this little gem will become a firm favourite with Barefoot guests looking for a relaxing holiday in a peaceful location. 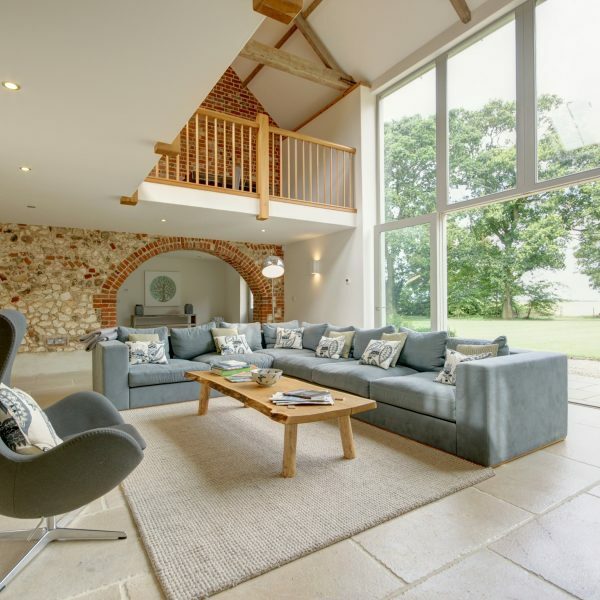 Pond house is a welcomed addition to the Barefoot Retreats portfolio, and offers a fantastic newly refurbished four bedroom luxury hideaway in Burnham Market. This detached home has been stunningly created encompassing a tasteful colour palette that show cases the many individual art pieces. 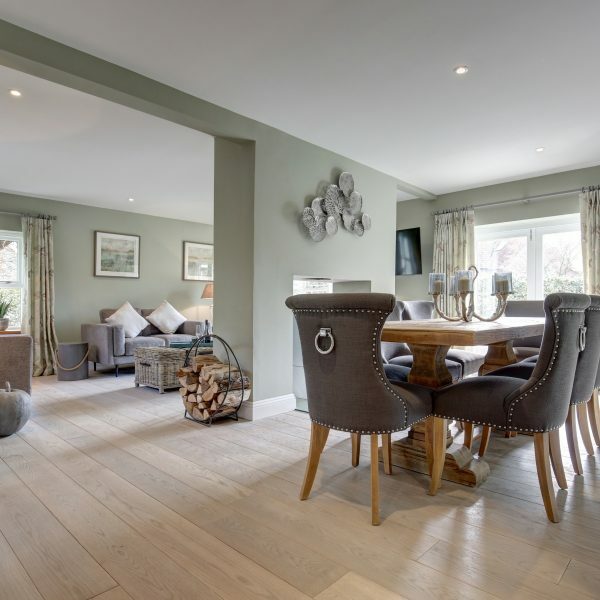 The open plan sitting room/dining room with dual aspect wood burning stove is the perfect social space to enjoy time with loved ones or retreat from the outside world and let this home envelope you into it's embrace. The heart of the home is the kitchen/breakfast room which beautifully balances the reception space, allowing culinary inspiration to flow. The snug and garden room are truly the icing on the cake offering the flexibility for your party to enjoy every corner of this sumptuous property. With ample off road parking and wrap around enclosed garden, alfresco dining in a real must and Pond House sits within easy walking distance of all the cafe's, boutique's, deli and lifestyle shops nestled around the village green and only a short drive to the sandy beaches along the North Norfolk coast. Revas is a beautiful three-bedroom property set in a peaceful location in the vibrant village of Burnham Market. This striking property is a classic example of how to bring traditional living into the 21st century. 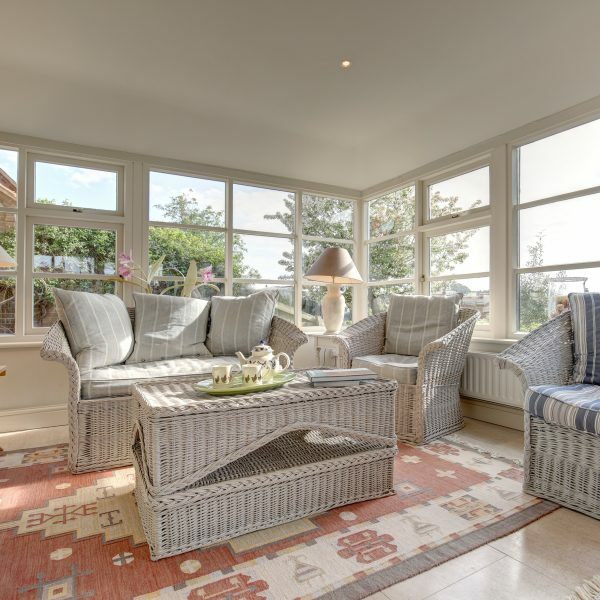 With an abundance of village amenities and just a short drive from the award-winning beaches on the North Norfolk coast, this property is ideally located for a peaceful yet equally active coastal holiday with friends or family. Situated on the edge of Burnham Market, Salt Marsh House is a unique combination of superb luxury, unparalleled location and modern, award-winning design. Morning, noon or night, this property gives its guests the most stunning vista views of the North Norfolk coastline, a very rare treat! Featuring six en suite bedrooms, pool table, cinema room, gymnasium, hot tub and several balconies, Salt Marsh House resides in a very select group of premier Norfolk homes. 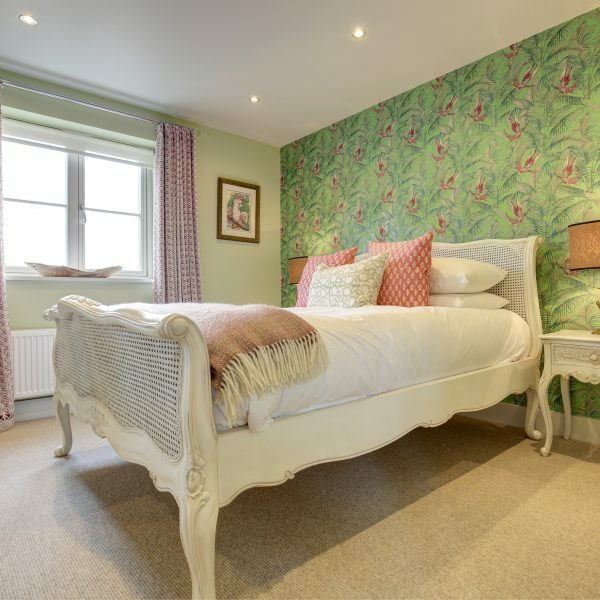 Sandells is a new, ultra stylish cottage situated in the popular village of Burnham Market. Offering three comfortable and quiet bedrooms, and only short walk from the popular green at the centre of the village, Sandells has the perfect blend of luxury, location and facility. By heading out of the village, you will find the popular beaches of Brancaster and Holkham all within 4 miles of your doorstep. With Sandells as your base, you will be sure to experience the best of village life with access to the wider coastline. This large five bedroom property in beautiful Burnham Market is a super laid-back self-catering holiday home situated in the centre of this pretty village, close to all the beaches, pubs and restaurants. With heaps of living space; three bathrooms, four double bedrooms and 1 twin bedroom for children, this house oozes charm and style. 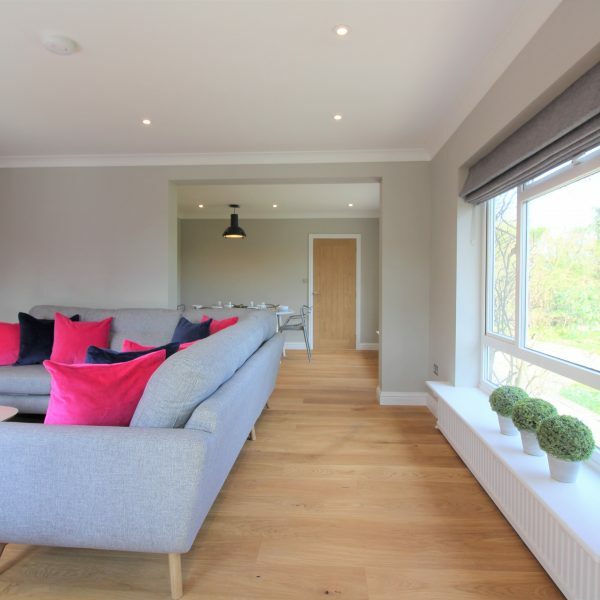 With accommodation set over three floors, you'll have plenty of space to relax and spill out into the garden and large outside dining room during the summer months. The children will just adore the indoor skittle alley! With parking for at least three cars, this is a great base to enjoy this boutique village and the North Norfolk coastline. 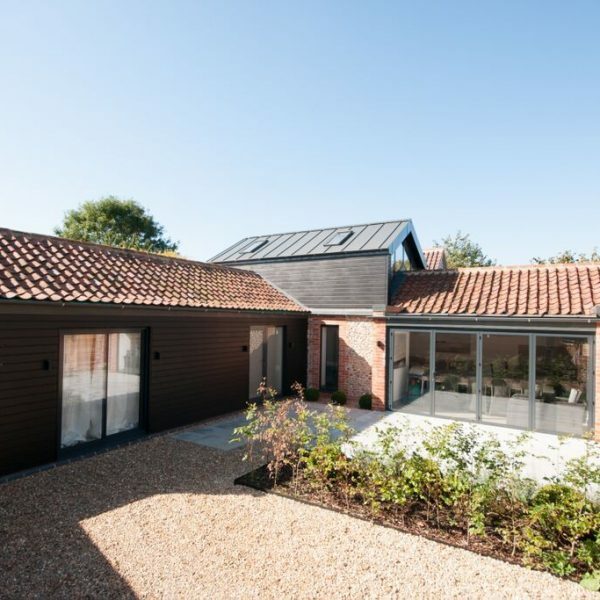 Situated in a quiet corner of the popular village Burnham Market, St Andrew's Barn is perfect for groups of families or friends looking to enjoy the best of Norfolk. With the bustle of the village green only a short walk away you can take advantage of the many small, boutique shops that Burnham Market is renowned for.Offering a spacious kitchen that is great for entertaining, enclosed garden and a large, comfortable master bedroom; this property has many attractive features. 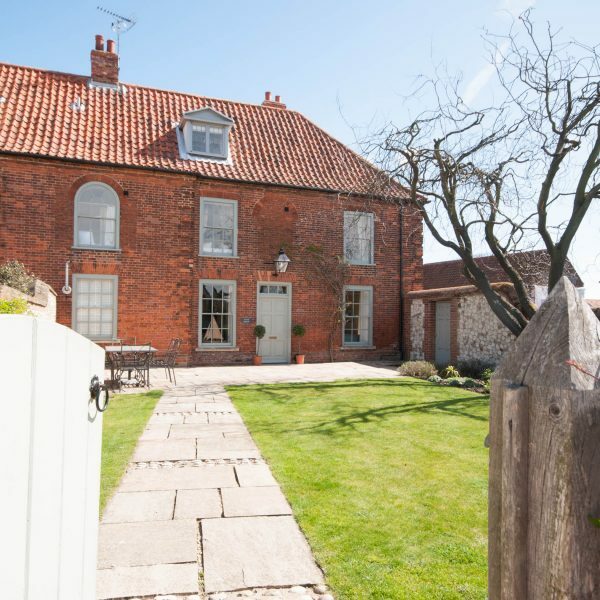 St George's will surely delight discerning friends and families seeking a luxury self-catering cottage, close to the centre of Burnham Market. Behind the modern chalk exterior, this spacious property has a romantic French country style, with antique furnishings and soft nautical and floral fabrics set against a calming colour palette of chalky greys, blues and pinks. Within easy walking distance of all the cafe's, foodie shops, deli and lifestyle shops dotted around the village green and only a short drive to the sandy beaches at Brancaster, Wells-next-the-Sea and Holkham, this is a great place relax and unwind. With parking for up to three cars behind high gates within the grounds, chill out in the beautifully sunny and enclosed walled garden throughout the year; or snuggle up in front of the fire during the winter. 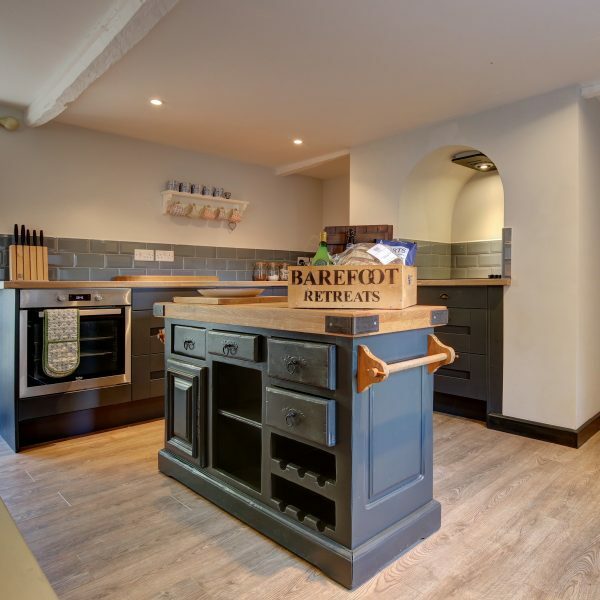 This fantastic self-catering cottage in the centre of Burnham Market comes with all the mod cons you could possibly wish for. With a contemporary look and feel throughout, Stile Cottage certainly lives up to its name in more ways than one, with some stylish and unique touches. Tucked away just off the village green, in a quiet and peaceful location, you're perfectly placed to enjoy this vibrant village with its boutique shops and restaurants and you're only a ten minute drive to North Norfolk's glorious sandy beaches. With plenty of privacy, a terraced garden and off-street parking, this little gem is a wonderful out of season hideaway for one or two couples. With a private garden and off-road parking, it's just waiting to be discovered! This cool contemporary pad comes with all the mod cons you could possibly wish for! Contemporary living at its best, Stile Cottage certainly lives up to its name in more ways than one, with stylish touches throughout. Hidden away just off the village green, in a quiet and peaceful location with off-road parking too, you're perfectly placed to enjoy this vibrant village with its boutique shops and restaurants plus its only a ten minute drive to North Norfolk's glorious sandy beaches. This luxury retreat is perfect for one or two families, sleeping 8 in three bedrooms and has outside space too! 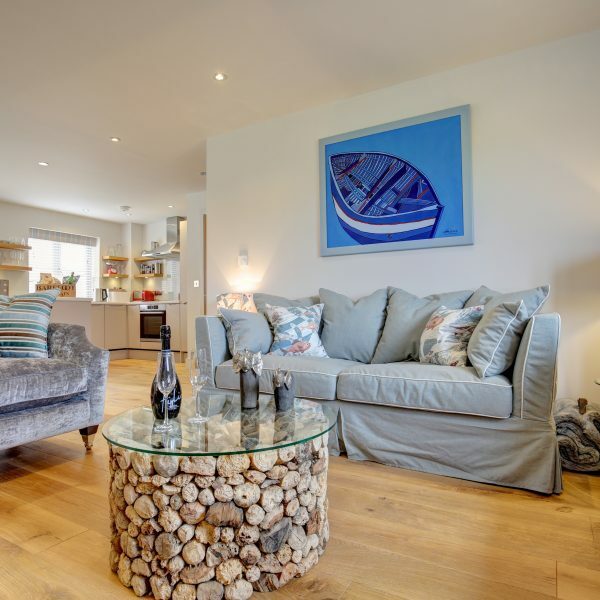 Tern Cottage is a beautifully designed three-bedroom holiday property set in the picturesque village of Burnham Market. This traditional village cottage has been thoughtfully modernised and decorated with flair and unique furnishings. 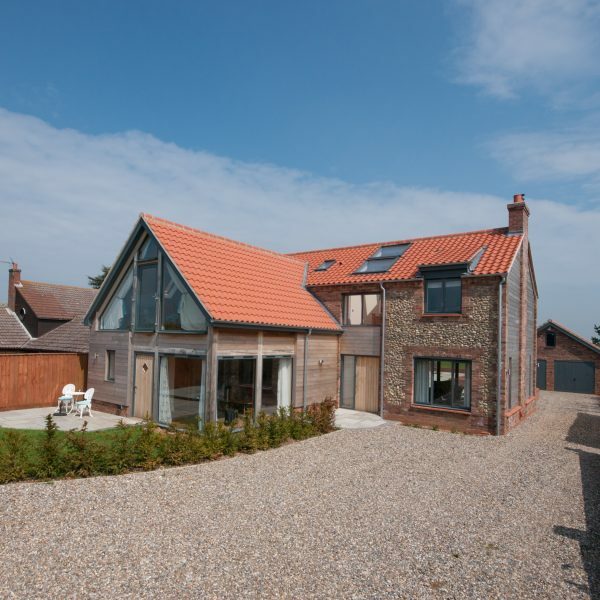 Just a few miles drive from the stunning North Norfolk coast, this stylish property is the perfect base for your holiday adventures! For those who know Burnham Market, the positioning of Western House will be of great interest as guests that stay will only be a couple of minutes from the shops and the renowned Hoste Arms bordering the attractive green at the centre of the village. 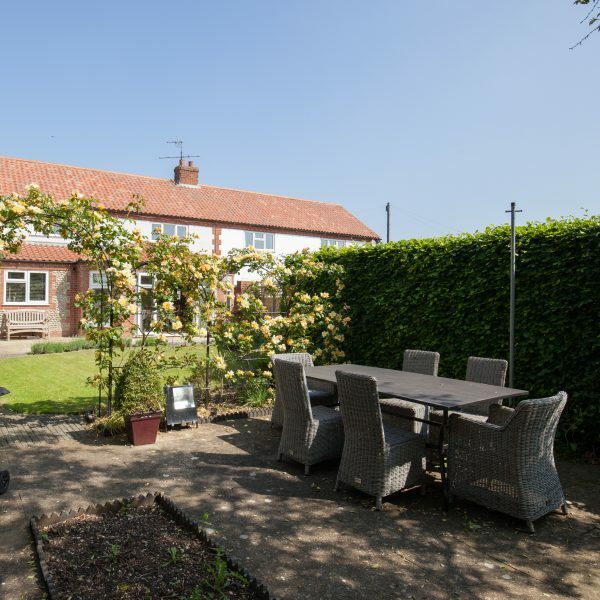 Despite the benefit of its central location, the property offers enclosed garden with ample off-road parking making Western House the perfect hideaway in Norfolk for those wanting to be close to the hustle and bustle but still enjoy a private, quiet and relaxing location. If you're looking for very large barn conversion set in three acres with wonderful views and in a tranquil setting, then Whaleback is just perfect. Accessed via a private driveway and set behind a five bar gate, this unique and very special property will simply capture your heart. 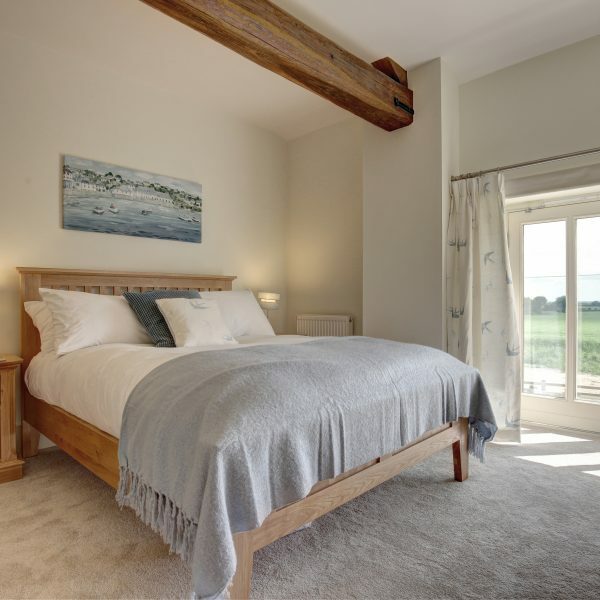 Just a short walk through open countryside from one of the best pub/dining restaurants on the coast, The Duck Inn, this fabulous barn is designed for you to enjoy precious time with your family and friends. Just two miles away you have the bustle of Burnham Market to enjoy also. Perfect for a special occasion or wonderfully indulgent treat, you will love the space and privacy that this amazing property provides. With seven large bedrooms, four en-suites and a family bathroom/shower room plus huge games room which children and adults alike will just adore, this unique and special property will simply enchant you.